Add this to any of the other colors for a strong lightening effect without changing the density of the color. Color Line Pens contain ready to use enamels for glass or ceramics in a fantastic range of intense colours. 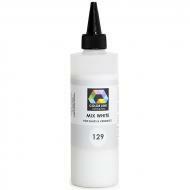 For painting, airbrushing, screen printing, and more! The firing range is from 700°C to 820°C (1300°F to 1510°F). All colours have extremely strong pigmentation, are lead-free and freely mixable to obtain further shades. They are homogenous and smooth in water based medium, environmentally friendly, and easy to use in exactly the required amount ensuring low wastage. All auxiliary products are also lead-free. Click here for a downloadable PDF of product and usage information.